As an expecting mother, we know you have a lot of questions. We decided to help you answer them by compiling a list of the most frequently asked questions by our patients. 1. If I have a positive home pregnancy test, am I pregnant? At-home pregnancy tests yield accurate positive results, but frequently inaccurate negative results. If you think you’ve had a false negative test, the best way to confirm your results is through a blood test. If you find out you are pregnant, you should schedule your first appointment 6-12 weeks from the first day of your last period. If you have bleeding or other concerns, it’s best to see your doctor sooner. 2. 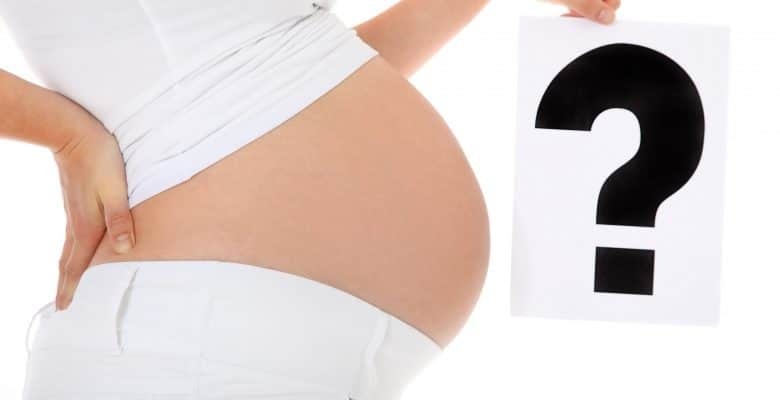 What if I have spotting during early pregnancy? Many women who spot during early pregnancy assume they have had a miscarriage, but that isn’t always the case. In fact, approximately 30 percent of women will spot in the first trimester and go on to have a healthy pregnancy. If you do notice spotting, notify your doctor just in case. 3. Should I measure my pregnancy by weeks or months? Measuring your pregnancy by weeks is more accurate than months. Why? Nine months can often be about 39 weeks when doctors consider 40 weeks to be a full-term pregnancy. Your first trimester ends around 11-13 weeks and the third between 24-26 weeks. 4. When will I feel my baby move? 5. How much weight should I gain during pregnancy? Most doctors suggest gaining 20 to 30 pounds during a single-baby pregnancy. Broken down, that’s about 300 extra calories a day you should be adding to your diet. While it may be tempting to load up on fast food and ice cream, it’s important that these extra calories come from healthy foods. 6. What can I eat during pregnancy? Doctors can have varying opinions on what a woman should or shouldn’t eat during pregnancy, so it’s best to consult your doctor. As a rule of thumb, avoid alcohol, under cooked meats and unpasteurized dairy products. 7. How do I know if I can have a vaginal birth? Knowing whether you’ll have a vaginal or C-section delivery with your first baby is very hard to predict. Often times you and your doctor won’t know until you go into labor. The U.S. C-section rate is about 30 percent, but it’s also good to ask your doctor what his or her individual rate is. Ultimately, you will have to trust your physician to make the best decision for you and your baby.